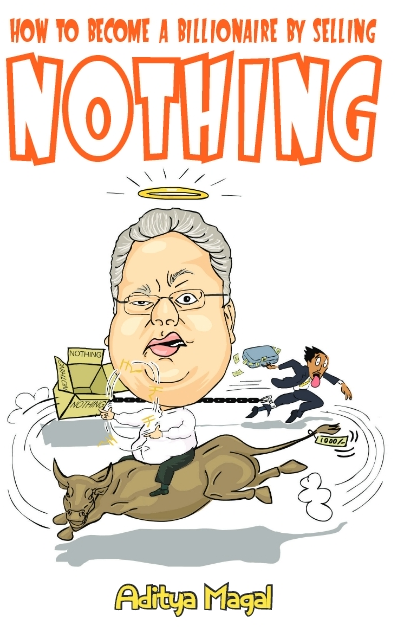 The Secret Journal of Rakesh Jhunjhunwala: Will Someday Please Explain What This Stupid Song Is Supposed To Mean? Will Someday Please Explain What This Stupid Song Is Supposed To Mean? Ever since I met Fake Jhunjhunwala (who I plan to have executed) 4 months ago, I have consistently dedicated my efforts to realizing the meaning of the world’s greatest conundrum. My superior intelligence has been confounded by just one thing and one thing only in the last few months. It has occupied me day and night. Night and day. Afternoon also. WHAT THE BLOODY HELL DOES ISHQ WALA LOVE MEAN? I Have seen this song on TV from the film ‘Student of the Year’ and it has frazzled my mind ever since. I know that Wala is a suffix as in JHUNJHUNWALA. WHAT THE HELL IS THAT EVEN SUPPOSED TO MEAN?WHAT IS A LOVE WALA LOVE? I am asking the director of this film Mr.Karan Johar what the bloody hell is ISHQ aka Love being used for in a song title already having the word LOVE? I even saw a young person writing the name of this song as ISHQ WALA LUV.I have immediately directed all my marketing companies to attract the youth market by changing the spelling of LOVE to LUV. SOMEBODY TELL ME WHY THE FIRST WORD AND THE LAST WORD MEANING THE SAME THING IN TWO DIFFERENT LANGUAGES ARE BEING USED TO MAKE NO BLOODY SENSE! 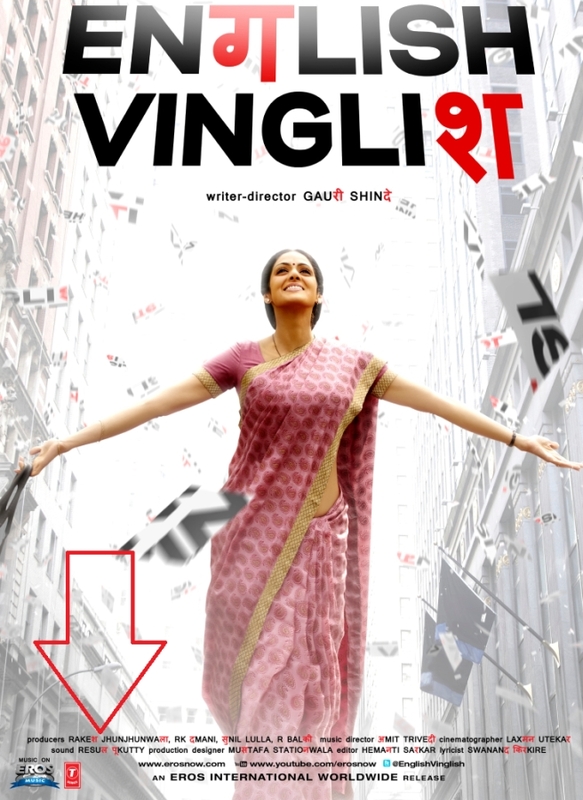 If this is a film about students then I am very very shocked. 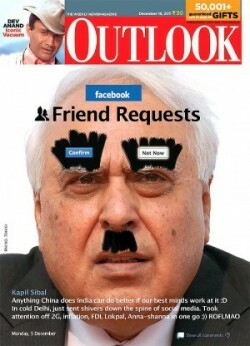 I am worried about our education system.I plan to write a letter to our HRD Minister The Hon-Her-able KAPIL SIBAL and seek a proper explanation though I am sure Sibal will tell me that Ishq and Love both have zero loss. 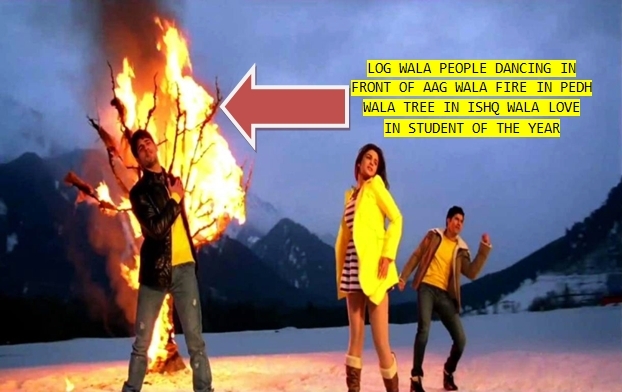 ONE OTHER Question.In a song about LOVE in a film about Students WHY ARE THE PEOPLE DANCING IN FRONT OF A BURNING TREE?